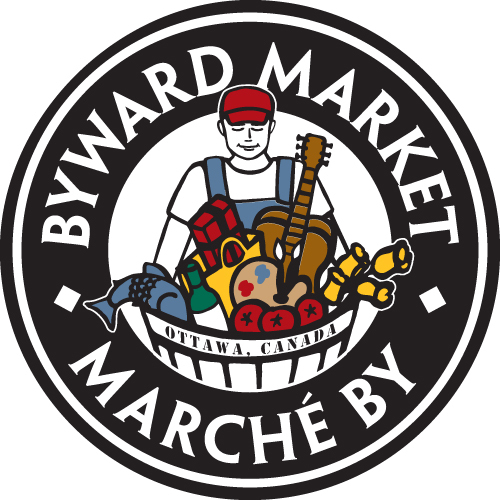 ByWard Market – Evolution Professional Design Consultants Ltd.
ByWard Market is a district in downtown Ottawa, which includes restaurants, clubs, specialty shops, art galleries, and market vendors. Bordered on the west by Sussex Drive and on the east by Dalhousie Street, it stretches northwards to Cathcart Street, while to the south it is bordered by Rideau Street. 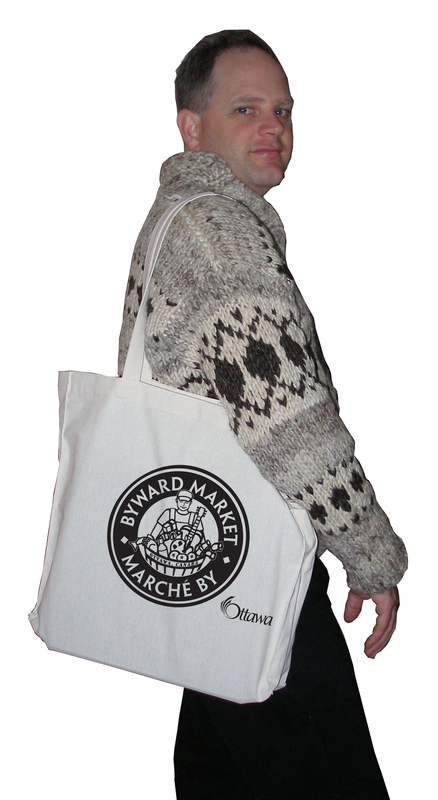 Evolution was responsible for designing a visual identity for the ByWard Market for a number of applications including print and marketing tools, souvenirs and uniforms, as well as wayfinding signage to help define the district beyond the main market vendor area. 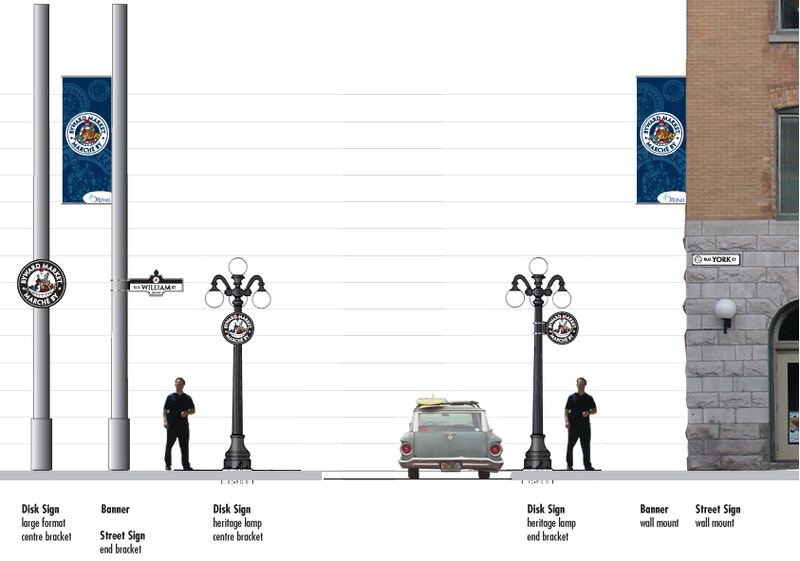 The signage infrastructure was designed to complement the City of Ottawa fabrication and maintenance capabilities as well as respect city signage standards. Evolution designed the visual identity to include the various categories of businesses in the ByWard Market. The composition of the logo includes a market vendor with products representing various services and entertainments available to the visitor. The logo was sensitive to the heritage atmosphere of the central market building and surrounding architecture, as well as the more contemporary areas beyond the core of “the Market”.